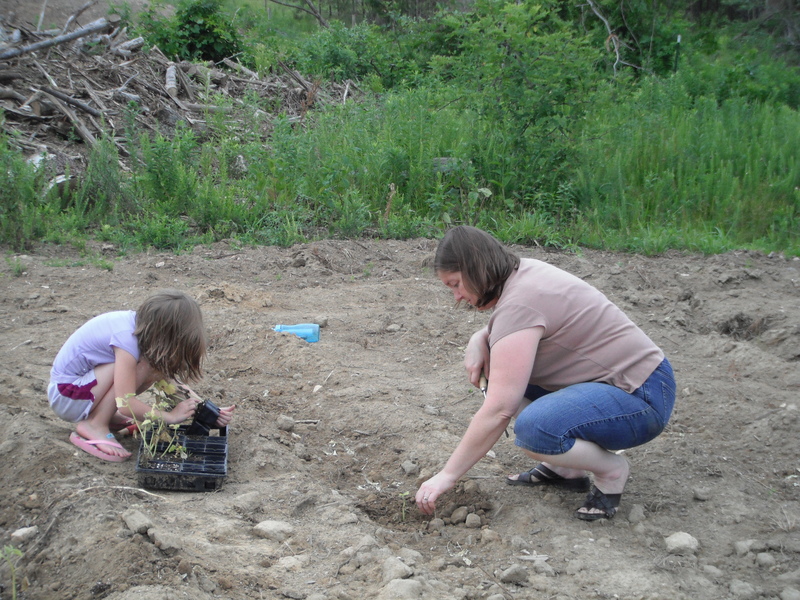 Mariella and Kelly Kern plant cucumber starts on the Volunteer Farm in Culpeper. On Saturday, June 18, two families from St. Luke’s joined other volunteers at the Volunteer Farm in Culpeper for a morning of hard work and fellowship. The Volunteer Farm in Culpeper has planted more than 3,000 tomato plants, 700 pepper plants, 3,000 cucumber plants and 600 watermelon plants. The yield from these crops will be donated to food banks and pantries that serve 1/3 of the state. This is the first year of planting at the Culpeper Farm, off Cherry Hill Road near the county’s waste transfer station. The land, owned by a member of Our Savior Lutheran Church in Warrenton, has been leased to the Volunteer Farm and is going into production, acre by acre. The plowing, planting and tending is done by volunteers (including one gentleman who gets to play with his collection of vintage John Deere tractors) and more help is needed! 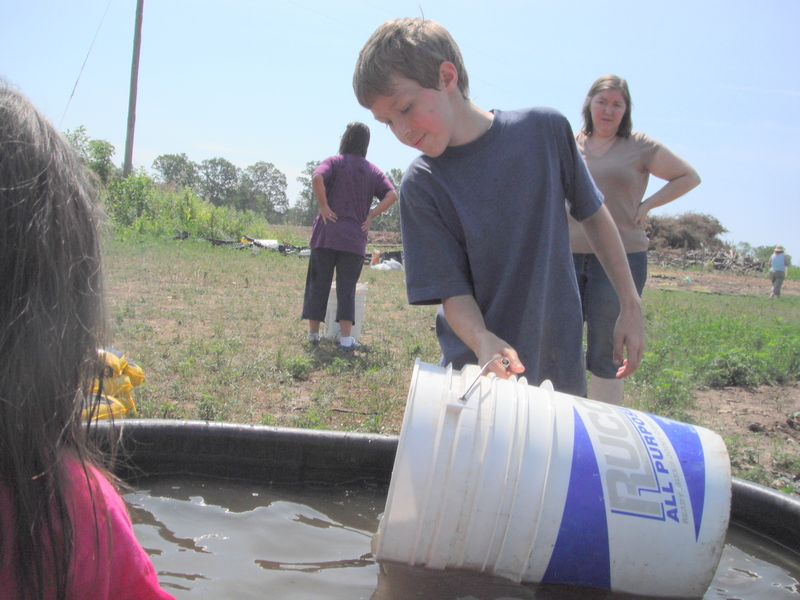 St. Luke’s will have more workdays on the farm as the growing season continues. We can provide volunteers to pick the crops once the plants start bearing, to plant late-season crops, etc. The Kern and Hartman families spent a Saturday morning in the summer sun, but hands will be needed during other times as the season progresses. If you’re interested in helping, contact Bobbie Hartman. Timothy Kern collects water to spread on the cucumber plants at the Volunteer Farm in Culpeper. Next postJoin us in Hometown Nazareth!